The classic Slope Shoulder Dreadnought shape produces a robust voice with low-end power, a snappy midrange, and strong, clear treble notes. 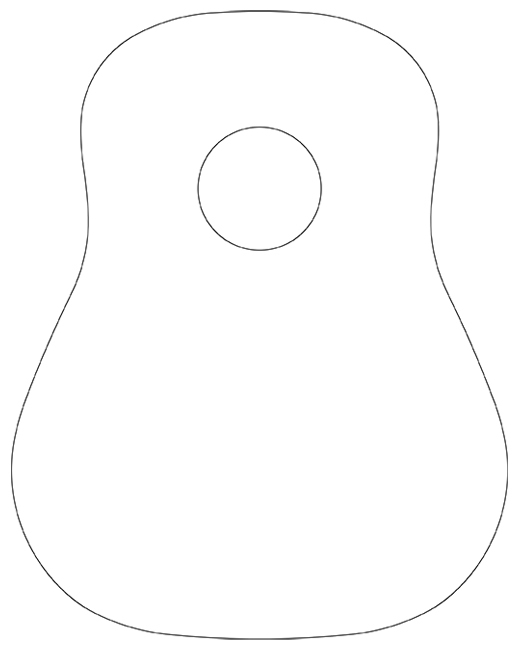 The guitar will appeal to flat pickers and lovers of traditional guitar shapes and tones. The slope shoulders give the guitar a vintage vibe. Perhaps more than any other shape, the Slope Shoulder Dreadnought remains linked with roots music like bluegrass and folk, in part because of its traditional role in defining those sounds. Pickers and strummers with an aggressive attack will love our Slope Shoulder Dreadnought’s blend of power and articulation, which allows for clear lead lines and crisp, driving rhythms.